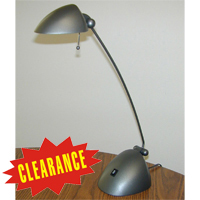 The Personal Task Lamp from Foxbay has a streamlined, low profile design that fits any decor and blends well with any environment. 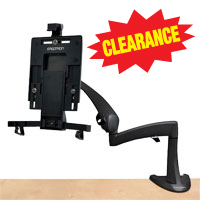 The freestanding tabletop base is gray, while the stand itself has dual articulating points - at base and lamp head - that facilitate easy adjustment. It comes with a 50-watt CRI 99.5 halogen bulb that accurately renders colour for colour and a UV stable reflector. 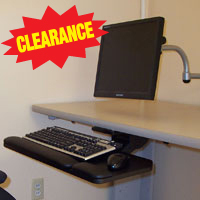 This multi-function laptop station/stand offers computing comfort with adjustable typing and viewing angles that reduce arm and neck strain. 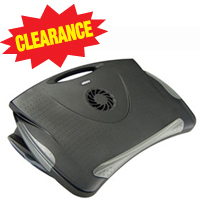 Used with an external keyboard and mouse, the LAPstation allows a more ergonomic option than the use of a laptop alone. Easy angle adjustment without tools. Adjusts from 0° to 25°. Inside cooling fan for heat dissipation (USB powered). 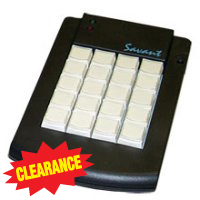 Includes cable management, mouse/adapter compartment and carrying handle. Holds laptops up to 11 lbs (5 kg). 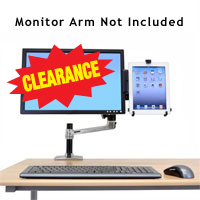 The ClickIt-4ARM Adjustable Work Surface from SmartMotion Technology is a height and tilt adjustable work surface designed to support the forearms, upper arms, shoulders and neck while maintaining neutral positioning of the wrists. 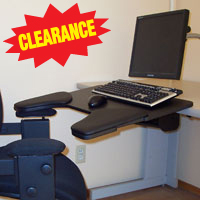 It tilts the entire work area, including keyboard and mouse, at an angle permitting the user to relax against their backrest while maintaining an open thigh-torso angle. Optional Left or Right forearm cushion accessories (shown in the image) are attached after installation, which allows the size of the user pocket to be determined by the pad placement. 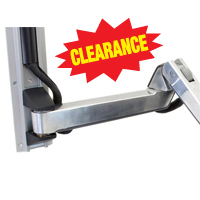 The 27" W x 20" deep work surface attaches to a heavy duty storable arm that permits partial storage of the work surface below the desk as well as providing the height and angle adjustment. 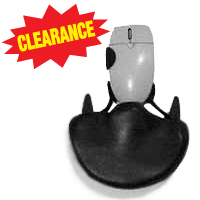 Note: WE ARE UNABLE TO OFFER A 30 DAY CUSTOMER SATISFACTION GUARANTEE OR WARRANTY ON THIS PRODUCT. Work Surface may have cosmetic damage.